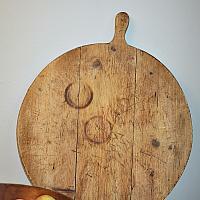 Beautiful Antique large round French Breadboard in a stunning honey pine golden color. This board has wonderful signs of wear and cut marks, loads of character. 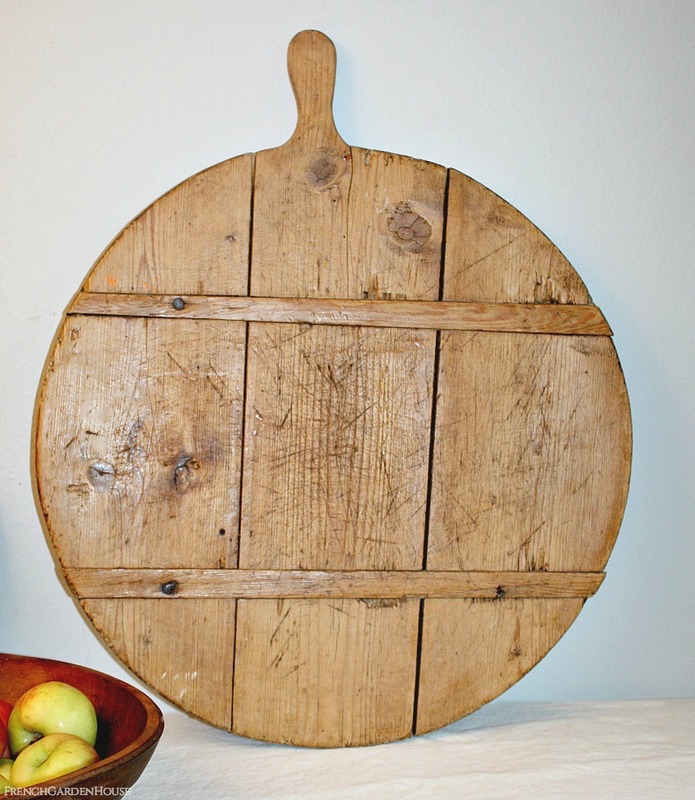 A beautiful decorative addition to your French Country kitchen, the sheer size of this makes it a statement accent piece to display. 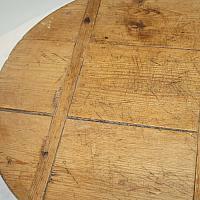 Rustic, hand made, with two cross splines across the back, meant to reinforce the board and to resist warping. 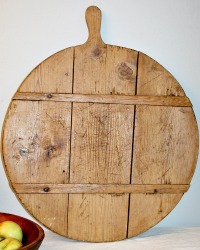 It's firmly attached, although from age, the large boards have some give. 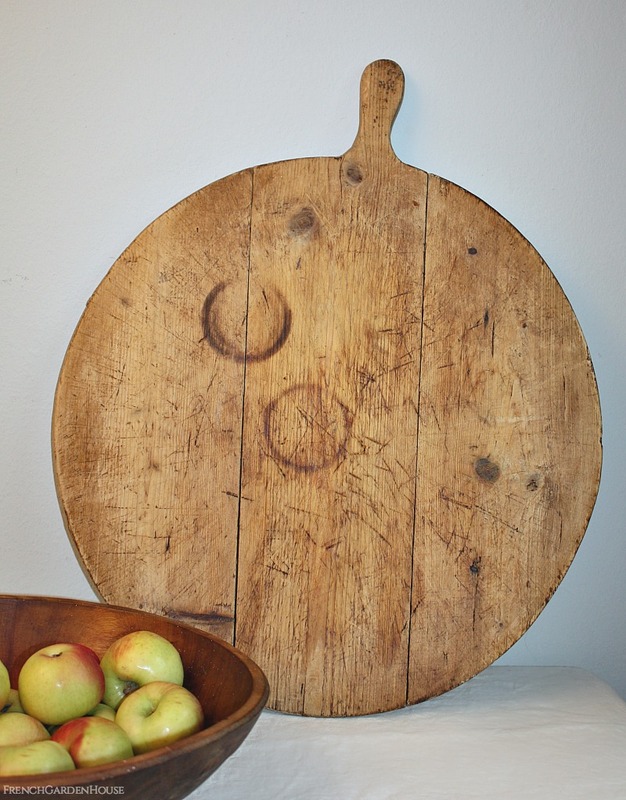 The board has been cleaned, the wood surface has beautiful character and patina, with time worn appeal, tiny old worm holes, the imprints of round baguettes and everything we adore. 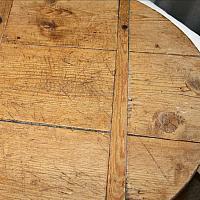 Please note that this board is worn, with a lot of patina and character. 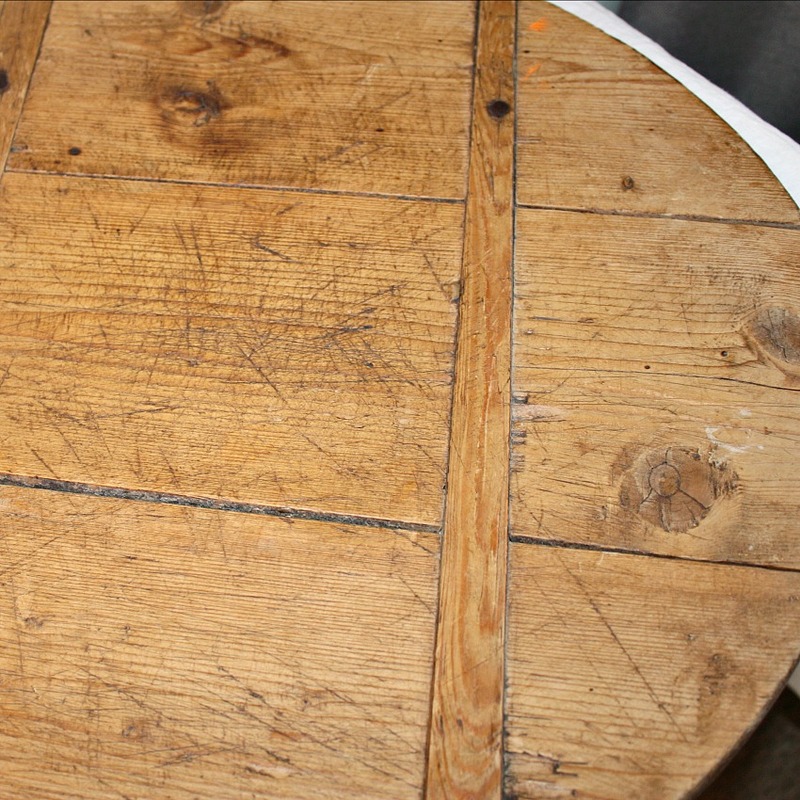 Country rustic vintage condition, with scratches, marks and wear befitting its age as shown in photos.